Gutters | Gutters, Cornelius, NC | G&S Contracting, Inc.
We use the Leaf Solution system to prevent the gutters on your Cornelius, NC home from clogging. Gutters in Cornelius – Gutters on a home are responsible for one simple function: route runoff from the roof to a downspout that will carry that runoff away from the home where it can safely soak into the landscaping or a storm water runoff system. Without gutters, runoff goes wherever it may, and your home runs the risk of erosion near the foundation and water running off of your roof only to infiltrate back into the basement or crawlspace of your home. One of the challenges of gutters comes from the potential for particles, leaves, and other debris to enter the gutters and clog them over time. While many systems have been developed, and each has promised to end the clogging of gutters forever, only one system has the ease of installation and simplicity of function that will give you peace of mind now and for many years to come. The Leaf Solution system combines a stiff metal framework with a medical-grade stainless steel mesh that is seamed and grooved to allow only water into the actual gutters, allowing debris to flow over the gutters and off of your roof. Check the weather forecast before you go out and clean your gutters. Cleaning the debris from your gutters is easier if they have been allowed to dry out. Identify leaks by filling the gutters with water and watching for problems. Stay safe while cleaning your gutters by standing firmly on a ladder. Never stand on your roof to clean your gutters. Start by removing larger debris from the gutters with a trowel, and then flush out your gutters with a hose to eliminate finer materials. 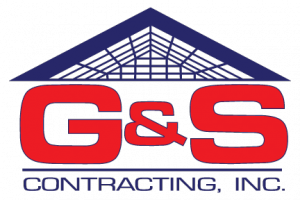 For 39 years, our team at G&S Contracting, Inc. has been serving Cornelius, NC and the larger Lake Norman area with windows, gutters, contracting, and other home improvement needs. Our many satisfied customers know our reliability and the high quality of all our work, and they trust our family owned and operated company for the experience we bring to each job and our dedication to our community and our clients. Contact us today to learn more! At G&S Contracting, Inc. we offer the highest quality Gutters to our customers in North Carolina including: Cornelius, Davidson, Huntersville, Charlotte, Mooresville, and Lake Norman, North Carolina.